High speed, high bandwidth, high performance internet coming straight from your car. If your car is on, you’re connected. How fast is it? The 4G LTE network is up to 10 times quicker than 3G and up to 100 times faster than 2G. It’s like your WIFI at home. What can you do now that you’re online? Your phones, iPods, iPads, tablets, and laptops now have limitless capabilities allowing you and your passengers to stream music and movies, email, video call, surf the web, browse social media, like, comment, share, tweet, blog, and more. Never has your car brought you more accessibility. 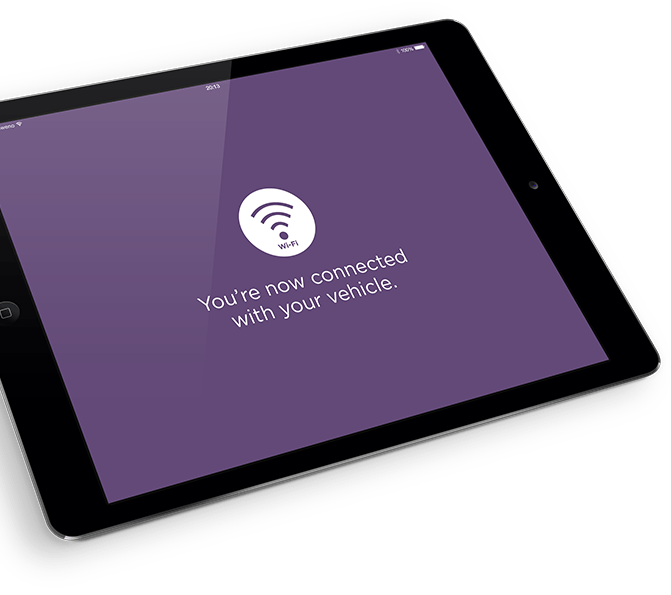 Now that you’re connected to the internet, your car can be, too. Your GM vehicle has even more ability since it can now use its own WIFI to connect to third party applications like the Volt Driver Challenge App, Telogis (for fleet vehicles), and MapQuest, so you can send directions right to your vehicle through OnStar, which will then give you the most up-to-date, turn by turn directions. That’s right. Not one, not three. Your GM vehicle’s WIFI hotspot can support 7 different devices while connected to 4G LTE. That’s 7 happy passengers, or 7 occupied, quiet kids. To see if 4G LTE is available in your area, check out the OnStar Data Map. So how much will it cost? You’ll be able to purchase an OnStar or AT&T data plan for your vehicle, ranging from $5 to $50 a month depending on how much data you need (from 250 megabytes to 10 gigabytes, respectively). Don’t worry about data surcharges like on your cell phone, you will simply get a message on your device saying you’ve run out (in which case you can contact OnStar to purchase more if desired). If you already have an AT&T Mobile Share plan, you can add on your vehicle for $10 a month. Enhanced OnStar keeps you cool, calm and connected. If you drive a GM vehicle with 4G LTE connection, that means you also drive an OnStar vehicle, which takes the burden off of you when it comes to vehicle maintenance and diagnostics, security, and emergency situations. Locked your keys in your car? OnStar will open the door. Tire pressure low? OnStar will tell you. Car stolen? OnStar will find the location, alert the police, and stop the car. Wherever you have data coverage, you can connect. So not only can you take your movies, articles, emails, and social media with you from your house to your car… you can take it with you on your 10 hour roar trip, to the next province, or to the next state. So go ahead. Take your 2015 Chevrolet, Cadillac, Buick or GMC to new roads and let your Hotspot follow you there, too.